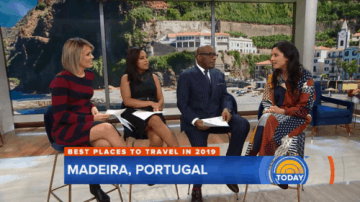 The publisher of Travel + Leisure, Jacqui Gifford, was on NBC’s Today Show program and dropped the last issue of the magazine with the top 50 places to visit in 2019. Among the elected sites is the island of Madeira. According to RTP, the program mentioned the Hotel Savoy Saccharum in Calheta and the 600 Years of the Discovery of Madeira and Porto Santo.